Local Author Fair. Bender Jewish Community Center of Greater Washington, Rockville, MD, Sunday, March 24, 10:00 a.m. Click here for more information. I’ll share a few thoughts about All the World Praises You!, and sign copies of all my books. Stereo Vision: Illuminating the Beauty of Kabbalat Shabbat. April 15, 2019, 12 noon-1:3o p.m. Temple Israel of Detroit. Download the full information here, or print the flyer: 3663 – ASK Stereo Vision Illuminating Sabbath. This talk complements the current exhibit of the art from Kabbalat Shabbat: the Grand Unification, and will incorporate a book-signing. Words, Color and Gold: Illuminating Jewish Values through Engaging with Jewish Art, June 20, 2018, presented at Association for Jewish Libraries conference, Boston, MA. Contact AJL for further information. Book Launch! All the World Praises You! Sunday, July 15, 2018, 3:45 pm. Congregation Beth Sholom, 11825 Seven Locks Road, Potomac, MD 20854. Family-oriented slide-discussion followed by optional art project. Sponsored by Congregation Beth Sholom and the Foundation for Jewish Women’s Arts and Letters. Book-signing 3:45, slide-discussion 4:00, art project 4:30-5:45. Download the flyer! Unifying the Spiritual Soul and the Scientific Mind Through the Illuminated Manuscript. Please contact Nahid Gerstein at nahiddayanim2@gmail.com for more information. Artist-in-Residence, Congregation Ahavas Chesed, Mobile, Alabama. Weekend of October 27-29. Terrific Shabbaton, interfaith conversation and Sunday art workshop! Please contact Congregation Ahavas Chesed for more information. JOFA Webinar, September 6, 2017, 8:00 p.m. Hannah: Finding Fulfillment Beyond Despair. Hannah’s tale (I Samuel: 1-2), tracing her climb from despair to triumphant fulfillment, a tale of courage, spiritual creativity, and love in the formation of the Jewish people, is enfolded into our liturgy as the haftarah for the first day of Rosh Hashanah. Join artist and author Debra Band to explore the eternal impact of Hannah’s story through her illuminated paintings in Arise! Arise! Deborah, Ruth and Hannah. Hosted by the Jewish Orthodox Feminist Alliance (JOFA). Please click here to register for this free webinar and discussion. Please click here to purchase the book at a 20% discount; enter code HONEYBEE2017 during checkout. Women’s League for Conservative Judaism Webinar. May 8, 2017, 8:30 p.m. EDT. In Honor of Mothers’ Day! Celebrating the Mother of All Souls. Webinar slide-discussion of the Shekhinah as the mother of all souls, incorporating imagery from Kabbalat Shabbat: the Grand Unification. Please click here to register! A special discount on the book is available by clicking here and entering promo code SPRING2017 and an additional 24 hour discount will be announced during the webinar. Kane Street Synagogue, Brooklyn, NY. March 4, 2017. Shabbat lunch talk by Debra Band and Raymond Scheindlin on Kabbalat Shabbat: the Grand Unification, following Sabbath morning services (approx. 12 noon). Kane Street Synagogue, 236 Kane St, Brooklyn, NY 11231, please call (718) 875-1550 for more information. RESCHEDULED! Jewish Theological Seminary of America, New York City, March 15, 2017. Exhibit dedication 5:30 pm, talks beginning at 6:00 pm. A Celebration of Kabbalat Shabbat: the Grand Unification. Wednesday evening gala event including cantorial concert, scholarly talks by JTS faculty, including Raymond P. Scheindlin, and slide-discussion by Debra Band. 3080 Broadway, New York, New York. Congregation Adas Israel, Washington, DC. January 8, 2017, 10 a.m. Illuminating the Fascinating Beauty of Kabbalat Shabbat through Art: a Discussion with Artist Debra Band 2850 Quebec Street, N.W., Washington, D.C. 20008. Slide discussion followed by book-signing. Jewish Theological Seminary of America, New York City, February 9-10, 2017. A Celebration of Kabbalat Shabbat: the Grand Unification. February 9-10, 2017. Thursday evening gala event including cantorial concert, scholarly talks by JTS faculty, including Raymond P. Scheindlin, and slide-discussion by Debra Band, followed by special Friday evening Kabbalat Shabbat service, discussions and dinner. More details to be posted here. Save the dates! Postponed due to snow storm! Hebrew College (Newton, MA). Illuminating the Beauty of Kabbalat Shabbat: an Evening of Art, Song and Learning with Artist Debra Band and introduction by Rabbi Art Green. December 8. 2016. Slide-discussion and cantorial concert. 160 Herrick Road, Newton Centre, MA 02459. 7:30 pm. Congregation Shaarei Tefillah, Newton, MA. Saturday evening, December 10, 2016, 8:00 p.m. Stereo Vision: Envisioning Kabbalat Shabbat through Art – Unifying the Spiritual Soul and the Scientific Mind, followed by book-signing. Please telephone the synagogue at (617) 527-7637 or visit the synagogue’s website for exact time. United Orthodox Synagogues of Houston. Thursday, October 27, 2016. 9001 Greenwillow Street, Houston, TX 77096. Wisdom Ethereal and Domestic: the Woman in Kabbalat Shabbat Tradition. Please telephone (713) 723-3850 for time and further information. Congregation Beth Yeshurun, Houston. Friday evening and Shabbat morning, October 28-29, 2016. 4525 Beechnut St, Houston, TX 77096. Friday night talk during Kabbalat Shabbat service: Lekha Dodi: Welcoming the Shabbat Bride with Puzzles, Mystery, and Wisdom. Saturday morning immediately following services: Wisdom Ethereal and Domestic: the Woman in Kabbalat Shabbat Tradition. Please telephone the synagogue at (713) 666-1884, or visit the synagogue website for further information. Evelyn Rubenstein Jewish Community Center of Houston; Ann and Stephen Kaufman Jewish Book and Arts Fair. Sunday, October 30, 2016. 4:00p.m. Exhibit and slide discussion on Kabbalat Shabbat: the Grand Unification. Topic: Stereo Vision: Envisioning Kabbalat Shabbat through Art: Unifying the Spiritual Soul and the Scientific Mind. Followed by book-sale and signing. Congregation Ohev Shalom, Washington, D.C., November 1, 2016, 7:30 p.m. Wisdom Ethereal and Domestic: the Woman in Kabbalat Shabbat Tradition. 1600 Jonquil St., NW, Washington,D.C. 20012. Slide discussion based on Kabbalat Shabbat: the Grand Unification followed by book-signing. Women’s League for Conservative Judaism, Mid-Atlantic Torah Fund Event. November 13, 2016. Lawrenceville, New Jersey. Please contact Women’s League for Conservative Judaism by telephone or e-mail via their website for more information. Yeshivat Chovevei Torah and Yeshivat Maharat, New York. November 15, 2016, 11:30 a.m. Slide discussion on Kabbalat Shabbat: the Grand Unification. 3700 Henry Hudson Parkway East # 2, Bronx, NY 10463, (212) 666-0036. Library of Congress slide-talk on Kabbalat Shabbat: the Grand Unification, Wednesday, September 7, 12:00 noon, Africa and Middle East Reading Room, 101 Independence Ave SE, Washington, DC 20540. Exhibit Opening: Paint By Numbers. Come to see my new work, Aleph: the Radiant One at the lead of this important group exhibit, curated by Laura Kruger. Thursday, September 8, 2016 from 5:30pm-7:30pm. Hebrew Union College, Brookdale Center, One West Fourth Street New York, NY 10012-1186. Book Launch Event! Kabbalat Shabbat: the Grand Unification. Thursday evening, September 15, 2016, 7:45 pm. Congregation Beth Sholom, Potomac, MD. Click here for the invitation! Congregation Beth El, Bethesda, MD, September 18, 2016, 10:00 a.m. Stereo Vision: Envisioning Kabbalat Shabbat through Art – Unifying the Spiritual Soul and the Scientific Mind. Sponsored by the Beth El Men’s Club. 8215 Old Georgetown Rd, Bethesda, MD 20814. Contact (301) 652-2606 for more information. Wisdom Ethereal and Domestic: the Woman in Kabbalat Shabbat Practice. JOFA Webinar. September 20, 2016 8:30 p.m. More details to come! Wisdom Ethereal and Domestic: the Woman in Kabbalat Shabbat Tradition, June 29, 2016, 7:30 p.m. Congregation Beth Israel, 1630 Bancroft Way, Berkeley, CA 94703. An engaging slide discussion of art and scholarship drawing upon many biblical sources, as reflected (mostly) in Kabbalat Shabbat: the Grand Unification. Call the synagogue at (510) 843-5246 for more information. Kabbalat Shabbat: the Grand Unification Exhibit, Beth El Synagogue, Durham, NC, March 1-May 1. Webinar on Megillat Ruth, June 1, 2016, 8:30 p.m. Hosted by the Jewish Orthodox Feminist Alliance (JOFA), the second program in our series on Art and Text. The moving story of Ruth, the Moabite woman who would become King David’s great grandmother, will be read in synagogue on Shavuot. Join us for a fascinating and energetic webinar to learn about this extra0rdinary text through the artwork of Arise! Arise! Deborah, Ruth and Hannah. Visit this page to find a link to join the webinar the week of the event. Beth El Synagogue, Durham, NC. March 4-6 Artist-in-Residence weekend. For more information, please contact Casey Baker, (919) 682-1238. Here’s the flyer with full information! Duke Divinity School, Durham, NC. March 3, 2016. Slide-discussion, Psalms in the Jewish Tradition of Kabbalat Shabbat. JOFA Webinar, January 20, 2016. 8:30 p.m. EST. Who is Deborah? Illuminating the Deborah Story. Hosted by the Jewish Orthodox Feminist Alliance (JOFA). The exciting story of Deborah, the only biblical woman judge (Judges 4-5) was read in synagogue on Saturday, January 23rd. JOFA hosted a terrific, wonderfully attended webinar to learn about this extra0rdinary text through the artwork of Arise! Arise! Deborah, Ruth and Hannah. Click here to view the recording of the webinar. The evening was the inaugural event for Debra’s new JOFA webinar series, Art and Text. I offer lively and engaging slide-discussions of many themes drawn from my illuminated books, as well as energetic art workshops that always, everywhere inspire creativity, learning and gratification in their participants, whether women or men, children or adult. My talks and workshops, teaching Jewish spirituality and lore through art, have enriched venues as diverse as synagogues, Women’s League for Conservative Judaism conferences, Chabad adult education programs, JCC book programming, Christian seminaries, the Library of Congress and Limmud UK. 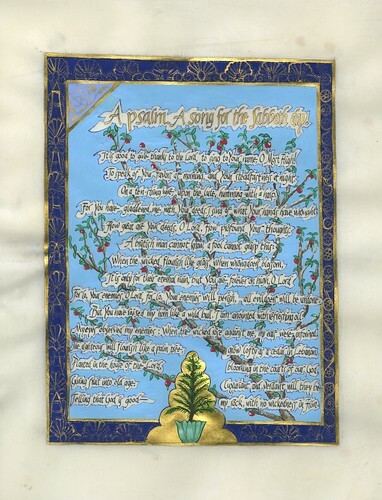 Exhibits of the original paintings from The Song of Songs: the Honeybee in the Garden, and I Will Wake the Dawn: Illuminated Psalms toured the US and Canada for several years after the publication of each book, and in beginning in Spring 2016 the nearly 90 paintings and papercuts from Kabbalat Shabbat: the Grand Unification will begin their tour. Information about these exhibits will be posted here. Artist-in-residence programs can be designed to fit your organization’s needs, including a combination of Sabbath synagogue talks (using color hand-outs for the artwork), with slide-discussions, book-signings and art workshops on Sundays and weekdays. Ideas and energy sparkle all weekend, leaving participants with a sense of discovery and pleasure in their Jewish culture and spirituality. A typical weekend synagogue program includes a 7-10 minute talk (using handouts) during Friday night services, a post-Kiddush talk (using handouts) on Shabbat morning/early afternoon, and a slide-discussion and book-sale on Sunday. Additionally, we can “initiate” your community members into the grand tradition of Hebrew manuscript paining by scheduling the Your Name in Lights art workshop on Sunday afternoon, ending the program on a high-note of fun, achievement and learning. Please contact me to discuss scheduling and fees. Talks generally fit within a roughly 90 minute time slot, including a 40 minute presentation, questions and book-signing. Stereo Vision: Envisioning Kabbalat Shabbat through Art: Unifying the Spiritual Soul and the Scientific Mind. In this absorbing slide-discussion, Debra Band reveals how her illuminated paintings of the Kabbalat Shabbat customs and liturgy enable modern men and women to fuse our spiritual souls, with our modern minds planted in the empirical world of science and information, as we approach this beloved mystical tradition of custom, blessing and song. Lekha Dodi: Welcoming the Shabbat Bride with Puzzles, Mystery, and Wisdom. In this lively short talk, designed to complement Friday night services, Debra Band reveals the Kabbalistic puzzles in the beloved ode to the Shabbat Bride, with clues hidden in her illuminations of Lekha Dodi in Kabbalat Shabbat: the Grand Unification. Wisdom Ethereal and Domestic: The Woman in Kabbalat Shabbat tradition. In this fascinating slide-discussion Debra Band explores the personification of Wisdom as a woman in the key biblical texts and Jewish mystical tradition that gave rise to the traditions and liturgies of Kabbalat Shabbat. Imagery presented draws upon Debra’s illuminations of the Song of Songs, Psalms and new (September 2016) Kabbalat Shabbat: the Grand Unification. Eagles, Lilies and Stars: Building a Jewish Visual Midrash. Introducing imagery from her most recent illuminated book, Kabbalat Shabbat: the Grand Unification, Debra Band offers a compelling slide-discussion of the importance of building a contemporary Jewish iconographic vocabulary to express concepts from Tanakh, midrash, kabbalah and other sources. 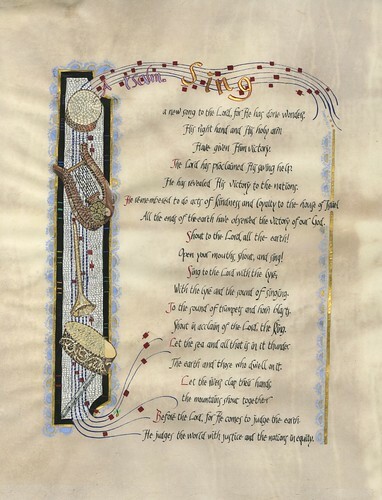 .Psalms in the Jewish Tradition of Kabbalat Shabbat. Judaism and Christianity share a love of the Psalms, and found much of their liturgies upon these biblical poems. 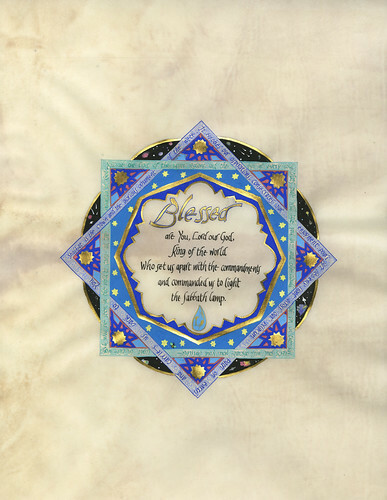 The mystical Kabbalat Shabbat service (literally, “receiving the Sabbath”) with which most Jewish communities throughout the world welcome the Sabbath, reads a specific anthology of Psalms through a kabbalistic lens. In this talk, Debra Band shares her visual interpretations of these Psalms in her new illuminated book, Kabbalat Shabbat: the Grand Unification, to introduce key concepts of Kabbalah, explain the role of these Psalms in this mystical Friday evening liturgy, and probe the symmetries between the Jewish mystical tradition and modern cosmology. Personal Emotion, National Growth: Expressing the Emotions of the Women’s Texts of the Bible. In the pre-exilic women’s texts within Tanakh, personal emotions take on national significance. In a lively slide-discussion drawing upon her original illuminated manuscripts, The Song of Songs: the Honeybee in the Garden (JPS, 2005) and Arise! Arise! Deborah, Ruth and Hannah (Honeybee in the Garden, LLC, 2012) Debra Band will explore the emotions evoked within the Song of Songs, and these three pre-exilic biblical women’s stories, the impact of those emotions in shaping later Jewish thought and tradition, and her approach to their visual interpretation. Life Lessons: Women’s Lives, Women’s Ethics in the Tales of Deborah, Ruth and Hannah. The three dramatic, women-centered stories of the pre-exilic Tanakh present the development of ethics and morals that have become core values not only in the lives of Jewish women, but throughout the Nation of Israel across time, cultures and continents. Drawing upon her new illuminated book, Arise! Arise! Deborah, Ruth and Hannah, Debra Band offers an inspiring slide-discussion of particular interest to mothers and daughters, and b’not mitvah. 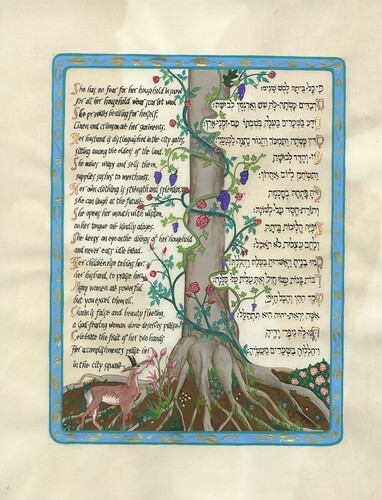 Life in Color, Gold…and the Alef-Bet: Jewish Thought in the Hebrew Illuminated Manuscripts of Debra Band. 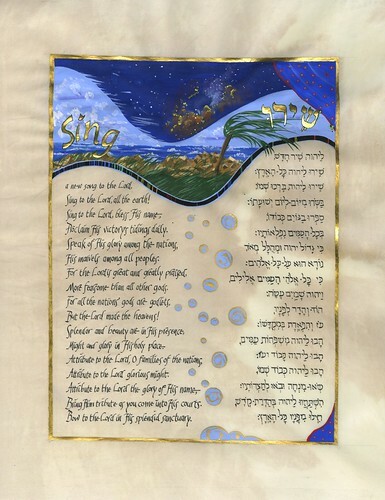 In her acclaimed illuminated books artist and scholar Debra Band fuses parchment, color and gold with rabbinics, modern biblical scholarship and Western thought to create visual midrash. Join her for a discussion of the themes she explores in The Song of Songs: the Honeybee in the Garden (JPS, 2005), I Will Wake the Dawn: Illuminated Psalms (JPS, 2007), Arise! Arise! Deborah, Ruth and Hannah (Honeybee in the Garden, 2012 ), and for an advance look at her in-progress work, Kabbalat Shabbat: the Grand Unification (Honeybee in the Garden, proj. 2016). Strength through Challenge: Illuminating the Deborah Story. Debra Band presents her illuminated manuscript of the Deborah story and epic poem from Judges 4-5, highlighting its emotions and history, the nature of Deborah’s strength and leadership, and exploring the character of Yael in this biblical tale from the early Bronze Age and its lasting impact on Jewish culture. Love Earthly and Divine: The Dual Readings of the Song of Songs. 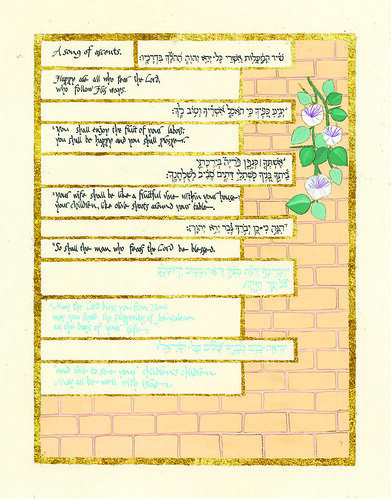 Debra Band will present her illuminated manuscript, The Song of Songs: the Honeybee in the Garden, exploring the power of the visual image to express the inseparable, yet contradictory literal and allegorical readings of the biblical love poetry, and their significance across Jewish cultures. 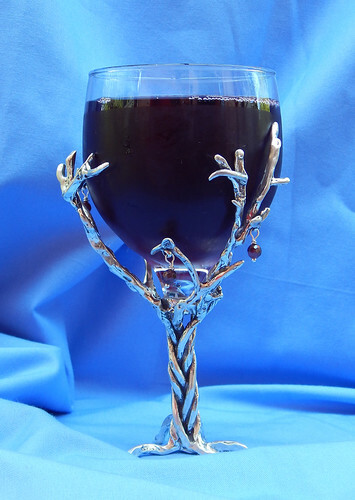 A perfect way to honor Rosh Chodesh Nisan and prepare for Passover. Ruth: Survival, Love and Politics. Debra Band explores the story—and politics behind the story—of Ruth, the great grandmother of King David, drawing upon the diverse cultural sources and archeological understandings embedded in her illuminated book, Arise! Arise! Deborah, Ruth and Hannah. Perfect for the weeks before Shavuot. Your Name in Lights! 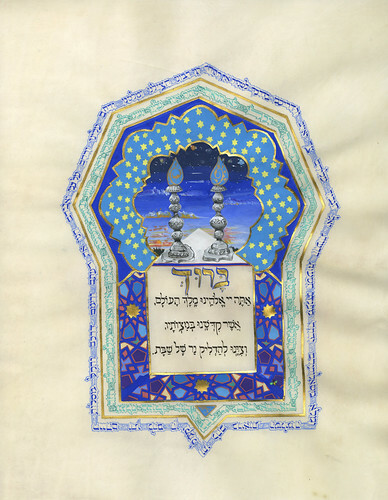 Debra Band offers a hands-on workshop in manuscript illumination, preceded by a 10-minute magic carpet ride across the history of beautiful Jewish books from the dawn of writing to the internet age. 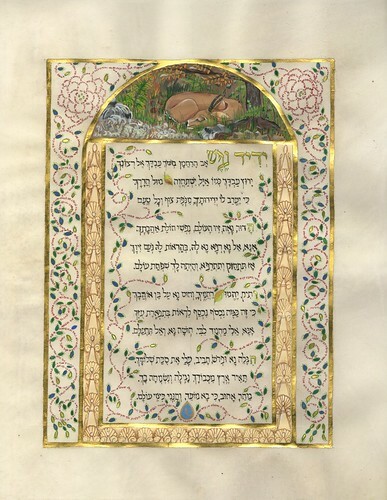 Participants will learn basic gilding technique, creating a miniature illuminated manuscript of their first or last name, in Hebrew or English, in color and gold leaf. Prior to the session, please think about elements of your life or interests that you would like to reflect in your design. This session can run at 90 minutes to 2 hours. Limited to 25 participants, ages 12 to adult.